Co-sponsored by USC Libraries, the USC Institute of Comparative Studies in Literature and Culture, the Max Kade Institute for Austrian-German-Swiss Studies, the Consulate General of the Federal Republic of Germany, Los Angeles, the Honor Society of Phi Kappa Phi, Villa Aurora and the USC Shoah Foundation Center for Advanced Genocide Research. Passports and identity papers assume an existential role for exiles when they try to cross borders and enter countries of transit or asylum. Paradoxically, on their flight identification with the country that excludes and persecutes them, often still remains of great importance. Thus the logic of univocal belonging to a nation state which governs the political landscape of the 20th century is affirmed as well as shattered by the exiles’ experience. Numerous border crossings, visa stamps for various countries in different languages, evidence of statelessness and sometimes the multiplicity of citizenships and issued passports undermine ties between the individual and the nation. In Bertolt Brecht’s Flüchtlingsgespräche (Refugee Conversations), written in exile, the passport appears as essential part of the self while the connection between individual and a specific nation(state) is questioned by exilic travelers who experience its contingency and precarity. In (historical as well as contemporary) exile literature references to passports abound. The talk will explore how identity papers are reflected as powerful means of control for modern state bureaucracies, as material objects absorbing life and agency of their holders, but also as ensembles of signs and pictures which open up opportunities for subversion and regaining agency. Doerte Bischoff is full professor at the Department of Germanic Literatures and chair of the Walter A. Berendsohn research center for German exile literature at the University of Hamburg. 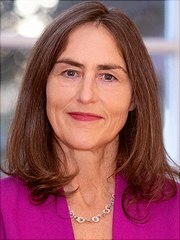 Before coming to Hamburg she held a professorship at the University of Siegen after having completed her time as assistant professor at the University of Münster with the Habilitation in 2009. She studied in Münster, Tübingen and St. Louis where she graduated from the M.A. program ‘European Studies’. After this she was a member of the doctoral research group ‘Theory of Literature and Communication’ at Konstanz University and received a PhD from the University of Tübingen in 1999. She has widely published on German-Jewish literature, memory of the Holocaust, literature and material culture, gender and rhetoric as well as literature and transnationalism and exile literature and is co-editor of the International Yearbook Exilforschung. She has been responsible co-editor for its most recent volume on Citizenship and Statelessness in the Context of Migration and Exile (36/2018), for the volume on Things of Exile (31/2013) as well as for the one on Language(s) in Exile (32/2014); a forthcoming volume will be on Archives and Museums of Exile (2019). As member of the Association for European-Jewish Literature Studies she has co-edited the volume Figurations of Mobile Identities in Contemporary European Jewish Literature (5/2018). Besides this she has also published the monographs Poetischer Fetischismus. Der Kult der Dinge im 19. Jahrhundert (München 2013) and Ausgesetzte Schöpfung. Figuren der Souveränität und Ethik der Differenz in der Prosa Else Lasker-Schülers (Tübingen 2002). Refreshments will be served. RSVP to ullmann@usc.edu.